For all we know, when it comes to vacationing, everybody craves for some luxury. In India, you won’t be short of finding holiday destinations that are top-notch luxury. There are breathtaking hill stations, beaches, backwaters, royal cities, even the lush forests and everything you could as for. In fact, in 2019 India has set a new record in leisure tourism and travel. It has a staggering number of guests from all over the world with more making plans for the year. These luxury holidays destinations in have charming experiences, ultra-luxurious hotels, villas and even palaces turned into hotels. If you are snooping through the “World Wide Web” for the best luxury destinations to visit in India in 2019, stop this instant and scroll through this blog to find some of the top-rated destinations that will unconditionally and irrevocably make you fall in love. If you would like to holiday at the very definition of bliss, then Goa is to be definitely on your list. This happening place is ideal to come to unwind and soak in the beauty. Besides beaches that dot over the long stretch of coastline, Goa has reputation for UNESCO sites, heritage houses, churches, water sports and many more delights. While family vacation in Goa is absolutely amazing, it is also highly regarded as one of the top places for honeymoon in India. Though geographically small it is quite big on wonders. 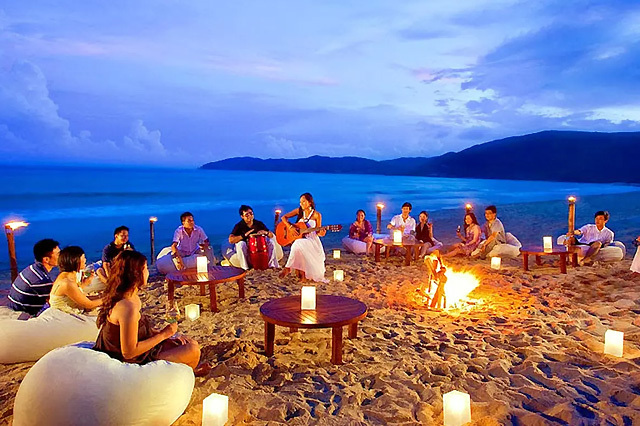 When it comes to accommodation, Goa has plenty for all kind of travellers. It has some of the best luxurious resorts for those who like to get pampered during their stay. Think of the epitome of luxury and Goa has it for you. The the months November through March are considered the ideal time to visit. Even the monsoon, July to September are idyllic if you prefer romantic weather, no crowds, amazing discounts and more. Goa is accessible from all over India, by rail, flight, and even roadways. Dabolim Airport has both domestic and international connections. Some of the famous places to see in Goa are beaches in North & South Goa, Old Goa, Fontainhas Quarter in Panjim, Churches listed as UNESCO World Heritage Sites, Forts like Aguada, and Chapora and many more. Sunset cruise on Mandovi River, water sports, Ayurveda massages, sightseeing features among the best things to do in Goa. 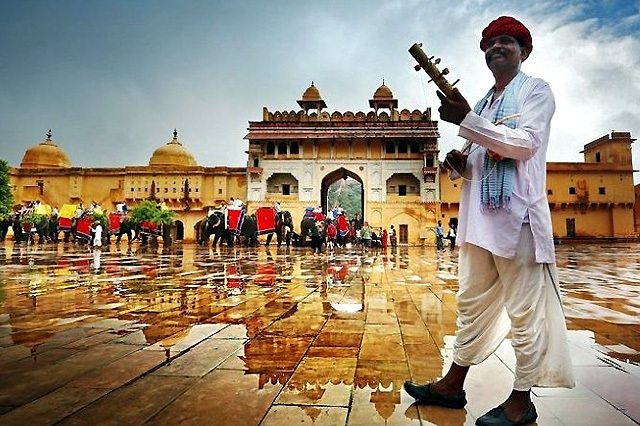 Rajasthan’s affluent capital city of Jaipur believes royal hospitality to be the way of life! The abundance of rich attractions are tightly knitted to the royals and the state’s vibrant culture and traditions. The ‘Pink City’ is a mélange of luxury hotels, including royal places turned to heritage hotels. The charming city pampers guests with their luxury amenities and unforgettable services. Jaipur can rightly be considered one of the top holiday destinations of 2019 to visit with family. The royal forts are spectacular to observe and imagine the days of old. Elephant ride to the UNESCO hill fort of Amer truly makes you feel royal. The massive City Palace is the very own residence of the royal family and living memorabilia of the wonderful years that have past. Jala Mahal, Jantar Mantar, royal havelis, ancient temples and the colourful markets only add to the charms. The best time to visit this city in Rajasthan is during the winters when the air is crisp and dry. The months November through February are considered the best time to visit Jaipur. The summers remain hot and sweaty. Jaipur Literature Festival held in January is a delightful addition to your holiday. Jaipur is easily accessible via roadways, rail, and even flight. The city has an international airport that is easily connected to various cities. Also, the city is one of the points of the wonderful Golden Triangle Circuit in India. Notable places to visit in Jaipur are Amber Fort, City Palace, Hawa Mahal, Nahargarh Fort, Jaigarh Fort, Albert Hall Museum and more. Udaipur is an epitome of elegance and grace. You can’t help it but be awed by the Lake Pichola which shimmers against the heritage structures. And it’s not just the old structures that will baffle you; this city is fenced by neighbouring mountains making it more alluring. Udaipur is regarded as one of the romantic cities to visit in India, and after you witness its calmness surrounding, you can’t deny this sole fact that it is eternally romantic. Check out their quaint cafes by the lake, colourful gardens where lovers seek refuge from the city madness; and also the quiet Ghats where you can listen to the sounds of wind and water flapping against the shore. Udaipur has tons of lavish hotels to spend your vacation in this romantic city; it is considered one of the best places to visit in India in 2019. Being a city in the desert state of Rajasthan, winters are highly considered the best time to visit. Make sure to schedule your trip to Udaipur between November and March. If rains are soothing to your hearts, a monsoon holiday in Udaipur is a once a lifetime opportunity. Udaipur is easily accessible from the capital city and other parts of Rajasthan. You can get direct buses, flights and even trains to Udaipur. The city features on many of the trains tours of the luxury trains in India including the worlds’ leading luxury train, the Maharajas’ Express. There are many things to see in Udaipur ranging from gardens to museums to palaces, perhaps even cafes that have made a tiny space for themselves amid the city. Make sure to take a boating tour on Lake Pichola and adore the sights like City Palace, Lake Palace, Lake Garden Palace, Vintage Car Museum, Bagore Ki Haveli, Monsoon Palace and many more. Much like New York, Mumbai is considered as the city that never sleeps. There is always something or the other happening in the city. Its diversity and flora here are thriving. If you come to Mumbai during monsoons, you cannot help it but be awed by its emerald greens. Even the grey weather will make you want to head to the beach and soak in the Mumbai monsoons. This city is rather popular for its Bollywood industry where you may have an encounter with live action sequence going on or some romance scene taking place in a lovely outdoor attraction somewhere in the city. The city may not have many attractions, but the iconic Victoria Terminus (CST) railway station and the Gateway of India sure gives a visual treat to the eye. 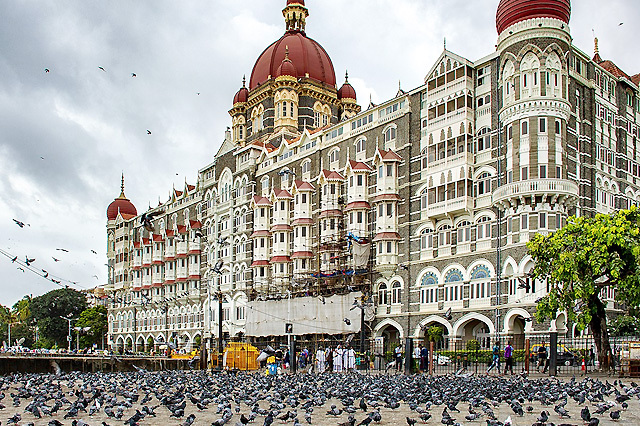 The charm of Mumbai is such that you cannot miss out a visit! The best time to visit Mumbai is from November through February. During this time of the year, the weather remains most pleasant. It is convenient to reach Mumbai. It has rail connectivity across the country and an international airport. It is also easily connected by road. Mumbai features Ajanta Ellora caves, Elephanta Island, Gateway of India, Haji Ali, and lots of beaches. From the ‘dabbawala’ tour to strolling through the poshest areas housing celebrities there is a lot to do. The taste of the delightful food, sightseeing, Bollywood tours, shopping your hearts out are a must. Being the capital city of India, Delhi certainly receives lots of tourists annually. The ‘dil walo ka shehar’ meaning the ‘city with the loving heart’ is among the top places to visit in India in 2019. The historic lanes co-exist with modern day buildings, old markets with bustling malls, culture that is a melting-pot of centuries, era and generations. Family vacations in India are incomplete without a visit to Delhi. Stay in the historic residence of royalty and eminent personalities of the British Raj or the luxury hotels that dot the skyline. Go exploring the interesting sights including the ones with status of UNESCO World Heritage Sites. The charms of mouth-watering cuisines, shopping and other experiences certainly will make a place in your heart. The best time to visit Delhi is from November through February. Summers can get pretty tiring and humid; winters are cold at night yet remain pleasant during the day. Delhi is easily approachable from across the globe. It has rail connectivity across the country and connects to all major parts of India. There are so many attractions in and around Delhi, from the Mughal architecture to the market places of old Delhi. 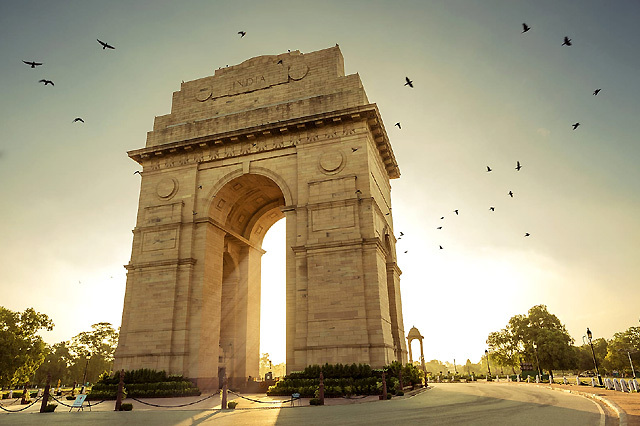 Top-rated places to visit in Delhi are Red Fort, Qutab Minar Archaeological Complex, Chandni Chowk, Humayun’s Tomb, Gandhi Smriti, and Raj Ghat, as well as India Gate. There are many reasons that make Pondicherry a luxury destination. Its calm and rejuvenating ambience is all that one can think of when we talk about this southern destination. 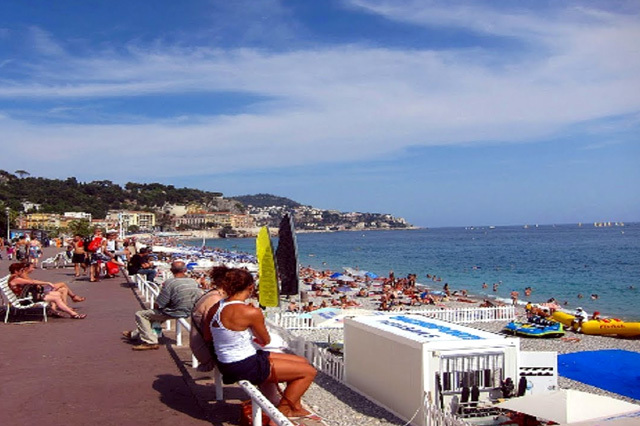 Surrounding with French colonial buildings, quaint colonial-style cafes, lovely cobblestone promenades and partying vibe, it is no wonder even the tourists from India enjoy coming here time and again. So if you have luxury and serenity in mind, think of Pondicherry. This perfect seaside destination has tons of resorts and impressive hotels that will pamper you throughout your stay. In case you didn’t make it to finding the luxury villas, the city itself will spoon you to comfort and luxury. You can wake up to the sounds of the ocean, walk alongside the beaches and breathe in the coastal air. Pondicherry is also considered as the best weekend getaways in 2019. The months October to March is considered the best time to visit Pondicherry. This time of the year is pleasant and calming. Pondicherry can be reached via railways and roadways. There is also an airport, but it has only flights coming from nearby cities like Bengaluru. The closest international airport is located in Chennai. The city is stunning during the sunrise and one of the best spots to soak in the beauty of the sunrise is from Promenade Beach. Other places of interest are Ousteri Lake, Green Quarter, Goubert Avenue, Auroville, and etcetera. 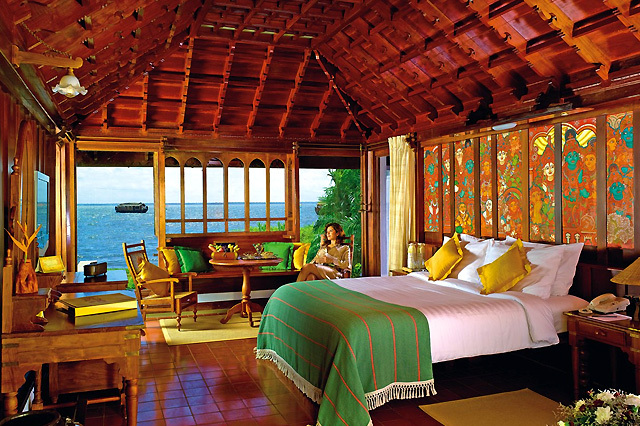 Along with its scenic beauty, Kumarakom offers a luxury vacation for every kind of traveller. This beautiful South Indian city has a collection of Islands surrounding Vembanad Lake, and it has richness in everything. An ever so relaxing ambience and acres of nothing but only nature are what you will see while here. Along with such stunning spectacle, there are many luxury resorts and villas that offer a pampering session of spa therapies. Even if you think you don’t need one, try it out, the Ayurveda messages relax your body, mind, and soul. You can also head to the great outdoors and explore the coastal beauty with a series of backwaters. 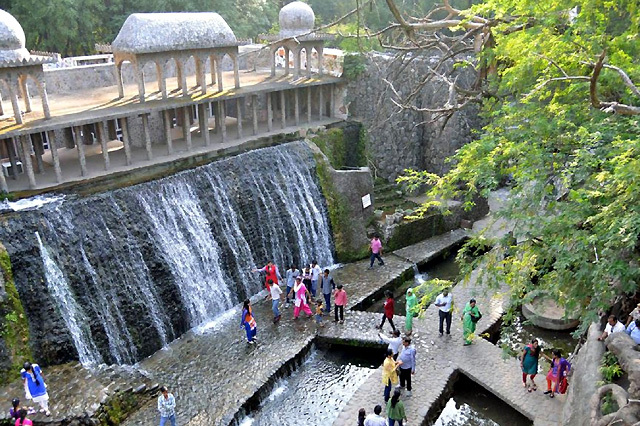 There are plenty of tourist places located amid the blissful nature. Kumarakom is the ideal getaway to get some calm and relaxing vacation and is often considered the best holiday destinations in India even by the locals. Winter is the best time to visit Kumarakom because it remains pleasant and cool. Make sure to book flights anytime between November and February. 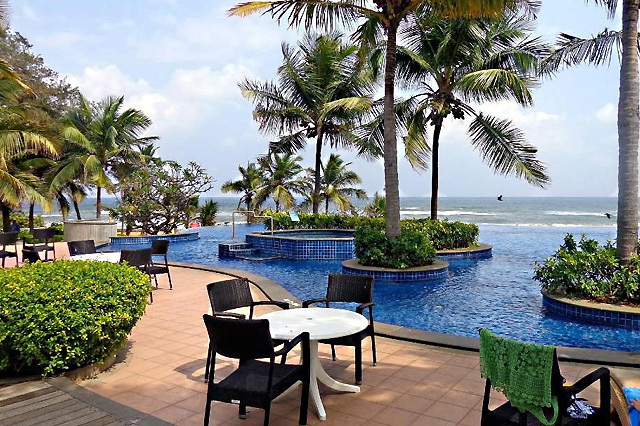 Kumarakom is easily accessible via all means from the popular city of Kerala, Kochi. The city has an international airport as well as a railway station which connects many cities in India. People visit Kumarakom to take time out from their busy schedules and unwind; however, there are many popular attractions you can visit. Some of the important sites are Aruvikkuzhi Waterfall, Vembanad Lake, Kumarakom Backwaters, Bay Island Driftwood Museum, and Kumarakom Bird Sanctuary. The cultural capital of south India, Chennai is one of the most stunning destinations one could ever go to. This city in Tamil Nadu blooms with a wealthy atmospheric surrounding. It has a rich heritage that still maintains their classical dance and music, their craftsmanship and interesting attractions. Chennai is frequently visited by many tourists from across the globe and their sole natural urban beach called Marina is packed with many tourist and locals all day. If you plan on visiting Chennai this season, make sure to come prepared to unwind and rejoice because the city has a variety of luxury hotels. This southern city which is also called as the gateway to south India features many luxury places that are perfect for those who like their vacation to be extra special and comfortable. The best time of the year which offers cool temperature and rejuvenating ambience is during the winters. November through February is the best time to visit Chennai. Chennai is easily accessible from across major parts of India and some parts of the world. It has an international airport along with rail and road connectivity. Amongst the many things to do and see in Chennai, you can visit these lovely attractions like the Marina Beach, Fort St George, Arignar Anna Zoological Park, Arulmigu Kapaleeswarar Temple, Ashtalakshmi Temple, Santhome Church, Valluvar Kottam, Amir Mahal, etc. Once the capital of India, Kolkata is a city in West Bengal; it is an epitome of elegance and rich architecture with interesting attractions and luxury accommodations. Ranked to be the second largest city in India you can easily see the never-ending crowd that swarm along the streets. The city is one of the top places for holidays in 2019, and as you come here, you may feel overwhelmed at first, but the true beauty of the city relies on the bustling crowd itself. The city is adorned with architecture, heritage, culture, diverse people and the chaos. This part of India is highly regarded as the intellectual, cultural and poetic capital. If you need a place to relax then the city has some of the best luxury resorts and hotels that will pamper your senses throughout the stay in the rich city. The best time to visit the northeast part of India is October through March. These months result in pleasant weather and also the festive month of Durga Puja. Kolkata has an international airport and a railway junction connecting all the major cities across the country. One can easily come here via these means; it also has great road connectivity. 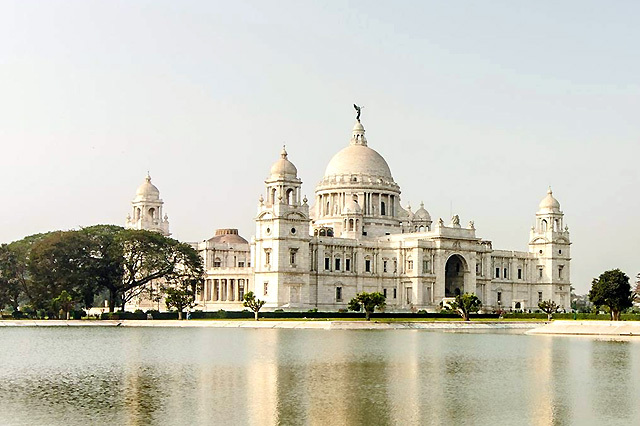 The city of joy, Kolkata has amazing tourist attractions, and some of the iconic and must visits are Fort William, St. Paul’s Cathedral, Prakriti Tirtha (Eco Tourism Park), Millennium Park, Victoria Memorial, Dakshineswar Kali Temple, Buddhist Pagoda. Chandigarh is a well-planned modern day city in India with exceptionally beautiful architecture and lovely tourist attractions. The city is the capital of both Punjab and Haryana. Due to its close proximity to the hills in Himachal, majority of travellers consider staying in Chandigarh. This metropolis city is not only the finest to visit but also the best to reside in; it has impressive roads and luxury getaways to many places. Chandigarh has many resorts and hotels that will pamper with luxury amenities and facilities. While here, you will definitely have a revitalizing and replenishing vacation with all the comforts you may have ever dreamed of. The month between October and March are the best times to visit Chandigarh because the city remains pleasant and welcoming. The city is easily accessible from all the states in the north by roadways; however, Chandigarh is also well connected via railways and an airport. Some of the tourist attractions you have to see while vacationing in Chandigarh are Terraced Garden, Garden of Fragrance, Open Hand Monument, Butterfly Park, Japanese Garden, Zakir Hussain Rose Garden, Sukhna Wildlife Sanctuary, Capitol Complex Tourist Centre, and Topiary Park.